Linda Gibbs is a former Deputy Mayor under Mayor Michael Bloomberg and now a principal with Bloomberg Associates, the philanthropic consulting firm that Bloomberg launched just after leaving office in 2014. Working with cities and mayors around the globe, Gibbs' portfolio includes social services -- she had been the Deputy Mayor for Health and Human Services from 2005 through 2013. Gibbs joined the podcast to discuss her work for the city as deputy mayor and with other cities in her current role. On July 14, former Bloomberg Deputy Mayor Linda Gibbs and Robert Doar, former commissioner of anti-poverty efforts, participated in a panel discussion in Washington, D.C., fielding questions about the poverty-fighting efforts they led through New York City’s Center for Economic Opportunity. It came just after their written series on the CEO and the Bloomberg approach to reducing poverty in New York, in which they argue for it as a national model. Two-and-a-half years after Mayor Michael Bloomberg left office, the two former officials wrote in Washington Monthly of the Center for Economic Opportunity’s role in pioneering a disruptive, systemic, data-driven approach to reducing poverty and creating opportunity, claiming impressive results: the city, from 2000 to 2013, reported a declining poverty rate as comparable American cities saw a 36% spike and nationwide figures climbed from 11.3% to 14.8%, they wrote. A representative for Gibbs reported that the New York City poverty rate dropped from 21.2% to 20.3% over Bloomberg’s full tenure. Though a modest decline, relative to the poverty-rate growth elsewhere, New York City was a positive outlier, and in their series, Gibbs and Doar aimed to encourage a national fight against poverty modeled after CEO efforts. Bloomberg’s successor, current Mayor Bill de Blasio, came into office promising to address socioeconomic inequities, and appears to have seen the positives of CEO. De Blasio’s anti-poverty campaign employs many of the same tactics that CEO popularized. While CEO is no longer the same standalone program incubator it was, it is still part of the city’s anti-poverty efforts and de Blasio administration has adopted a data-centric workforce development vision that takes a similarly holistic approach to tackling the underlying sources of unemployment. The most recent newsletter from CEO, published August 26, says the center has released two new evaluation reports detailing the progress of municipal identification program IDNYC and the New York Times-heralded career advancement program, WorkAdvance. Originated in 2006 as a commission evaluating the root causes of poverty, the aptly-abbreviated CEO was institutionalized within the Mayor’s Office in 2007 to pilot programs to address the working poor, young adults aged 16-24, and families with children. Bloomberg - the billionaire entrepreneur mayor - tasked Gibbs, then Deputy Mayor of Health and Human Services, to define the shape and scope of the anti-poverty incubator, with assistance from Doar, the Human Resources Administration (HRA) Commissioner. The CEO team collaborated with agencies and advisors to implement, manage, and evaluate the efficacy of its programs, taking an experimental approach aimed at finally designing initiatives that really work. Success was measured in the context of CEO's precedent-setting, citywide poverty data measures, which were developed in-house. These evaluations were designed to improve on a federal model that did not take into account changes in the economy, demographic trends, and public policies, and were made possible through collaboration with partners like nonprofit research organizations MDRC and the IT-training Per Scholas. Keen on informed risk-taking, the center pioneered both divisive flameouts like the conditional cash transfer Family Rewards program and nationally-replicated breakthroughs like the Obama-cited CUNY Accelerated Study in Associate Programs (ASAP) initiative, which provides a support network of counselors and peer engagement groups, along with stipends for supplementary funding for books, transportation, and tuition not covered by financial aid. Over eight years, CEO launched over 60 initiatives. In its infancy, the center found its footing in accomplishments like the Office of Financial Empowerment. Soon, the center created successful job training and education programs like WorkAdvance and Project Rise that would continue operating through Bloomberg’s tenure and into the current administration. 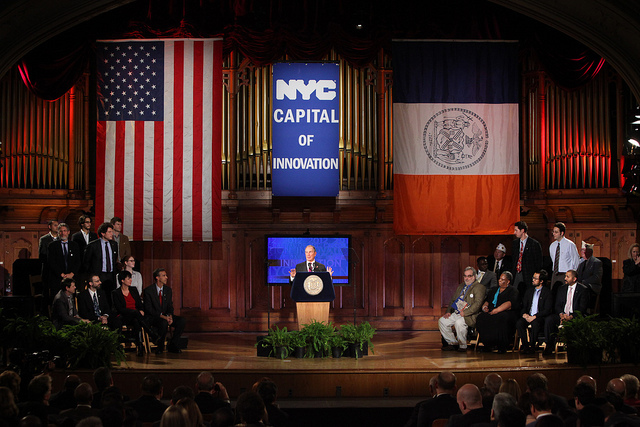 "Through these programs, we are providing evidence of what works, and we hope that through these investments we will find the key to break the pattern of poverty that still persists despite all the opportunity our city offers," Bloomberg said at a 2007 press conference celebrating a first year of program launches. Today, Mayor de Blasio has based his entire administration on reducing inequality, creating opportunity for those who have not had it, and treating the ills of a New York that has worked for those at the top of the socioeconomic ladder, but not many others. De Blasio has outlined a plan to lift 800,000 New Yorkers out of poverty and near poverty by 2025; the course of action in his OneNYC plan hinges on the transformative potential of a $15 per hour minimum wage and a combination of equity-focused initiatives to expand prekindergarten enrollment, construct affordable housing, and improve access to 21st-century essentials like broadband, transportation, and childcare. Much like in other areas, the de Blasio administration has a different anti-poverty approach than its predecessor. Under de Blasio, the Center for Economic Opportunity has indeed been deemphasized as a program creator. Instead, this administration has adopted a set of workforce development initiatives through “Career Pathways,” which is inspired by aspects of CEO, like attacking the root causes of poverty and unemployment and employing strict data accountability. Today, CEO is primarily used for its quantitative capabilities, evaluating new initiatives and streamlining existing ones while expanding its role in data analytics. Both Gibbs and current CEO Executive Director Matthew Klein, hired in 2014, are enthusiastic about de Blasio’s efforts. 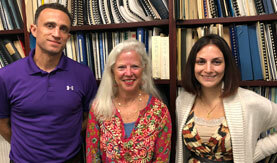 In an interview with Gotham Gazette, Klein explained the ways in which the center has evolved. “The mayor has a strong focus on broad, big-scale change,” Klein explained of his boss, de Blasio. This means adjusting to the mayor's priorities: the CEO is now working closely alongside the Department of Education to monitor the implementation of the universal pre-kindergarten program, which Klein described as an "all hands on deck effort across the administration." 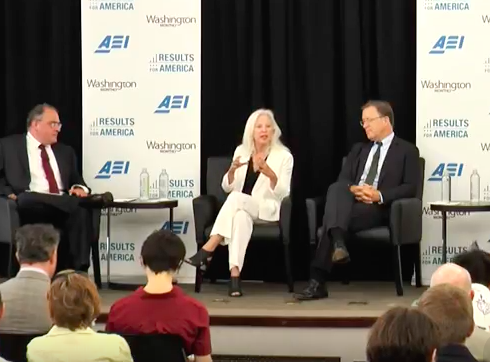 Klein also appeared at the American Enterprise Institute panel to detail CEO’s new direction. The city’s new Career Pathways approach, one that has been adopted at federal, state, and local levels across the country, relies on a network of industry partnerships that unites public and private stakeholders to design and develop curricula and training programs that match workforce shortages. In short, Career Pathways provides the skill development and Industry Partnerships provides the jobs: Career Pathways the supply, Industry Partnerships the demand. The Office Of Workforce Development, formerly the Office of Human Capital Development, has assumed a coordinating role to oversee the complex maze of agencies, providers, funders, and stakeholders that the plan requires to produce its anti-poverty and workforce development programs. By shifting to Career Pathways, the administration abandoned an old model of rapidly pairing workers with available jobs (“rapid-attachment”), instead investing in the skill building and education that produce lasting employment. The de Blasio administration is making an informed decision: the Career Pathways model has received support from The US Department of Labor’s Employment and Training Administration, as well as the US Department of Education’s Office of Vocational and Adult Education. At the beginning of de Blasio’s term, the CEO poverty rate was at 20.7%, with 45.2% of New Yorkers living in near poverty - a term identifying the population living below 150% of the CEO poverty line. The administration claims that new training, entrepreneurship, and “bridge programs” have already served over 18,000 residents as of December 2015. There were also significant increases in youth employment, with the Summer Youth Employment Program expanding to reach 54,000 participants. The new de Blasio strategy hinges on a dramatic redirection of the Human Resources Administration, which has been under the direction of Steve Banks since de Blasio appointed him in 2014. Moving away from pre-existing job placement initiatives, the agency now instead prioritizes redirected HRA programs and new bridge programs that provide low-skill job seekers with education and remedial training to find career-track employment in needy job sectors. Like those of CEO, these programs are held accountable by data collection. 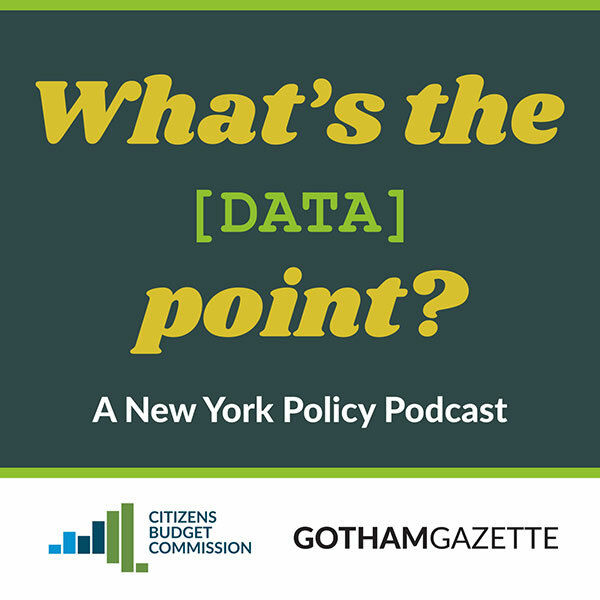 The de Blasio administration calls these evaluatory statistics "common metrics," outlined in its original OneNYC plan, designed to align data and definitions to create a shared data collection system across all workforce programs. While the Career Pathways approach has a place for successful CEO programs like WorkAdvance and Project Rise, the only CEO program highlighted in the OneNYC workforce development vision is the star CUNY ASAP initiative. The de Blasio administration has decided to chart his own path, with its own programmatic approach, instead of relying on the experimental nature of CEO. So far, the Career Pathways vision has proven to be unwieldy for the same reasons it is heralded. The large web of new and redesigned education and training programs are more intensive and expensive than the preceding placement programs. In addition, the common metrics that provide accountability are in place, but somewhat disorganized: over a year into the approach common metrics have not been fully coordinated and integrated. The CEO is collaborating with the current administration to coordinate this data collection. If the budding Career Pathways strategy succeeds, the current administration will, in part, have Bloomberg’s groundbreaking CEO to thank. A brainchild of a 2006 poverty commission, the "laboratory for experimentation" known as the Center for Economic Opportunity took advantage of a $100 million budget to pilot over 60 unconventional anti-poverty programs, each subjected to statistical evaluations that would determine its longevity. Under the initial direction of executive director Veronica M. White, the CEO’s center’s initial funding came from a public-private partnership comprised of a new investment of tax dollars and philanthropic partners; the philosophy was indicative of the larger Bloomberg approach to government: infuse private sector principles to the public sector. Over time, CEO’s staunchly quantitative approach to anti-poverty reform fostered what Gibbs describes as "an accountability for outcomes and evaluation.” It’s data-centric design was a reaction to its environment, typical of the slow-to-change government that Bloomberg often railed against. "People, particularly in the social services, fall behind many other sectors," former Deputy Mayor Gibbs told Gotham Gazette in a phone interview. "We do things because we believe they are the right thing to do, we believe they are good and virtuous and helping people in need, but we don't always give ourselves the same level of accountability for whether or not our great idea will actually produce good." The CEO's Darwinian approach reflected the entrepreneurial mind of its captain, a mayor more than willing to experiment with city government. One of CEOs early successes was the Office of Financial Empowerment. Created within the Department of Consumer Affairs in 2006, OFE fought to "make work pay" through expansions of income supplements, public health insurance, and the earned income tax credit, among other programs. According to Gibbs and Doar, an early evaluation showed $3 million in savings for 22,000 clients, and $22.5 million in total debt reduction. In July, Gotham Gazette reported that OFE has been incrementally expanded during Mayor de Blasio’s tenure, now headed by Executive Director Debra-Ellen Glickstein, who signed on in 2015. Other CEO initiatives, like WorkAdvance, provided vulnerable New Yorkers with occupational skill training and industry-recognized certifications before coordinating placement in high-demand sectors. This humanistic approach included both pre-employment and job retention services to ensure effectiveness and instill confidence in job seekers. The program was hand-picked for national replication through a partnership with the Social Innovation Fund (SIF): a public-private partnership identifying evidence-based approaches to social challenges. At the American Enterprise Institute panel with Gibbs and Doar, Gordon Berlin, president of MDRC, emphasized the significance of the grant, citing the "cross city partnership" it created. "The SIF really helped secure the CEO's future, role, and position in the national debate about federal poverty policy," Berlin said. Tested in New York, Northeast Ohio, and Oklahoma, the expanded WorkAdvance program boasted two-year advantages at all sites (when compared to a control group) of 31% in training completion and 12-41% in sectoral employment, along with instances of earnings boosts up to 26%, according to an MDRC report. The only CEO program highlighted in Mayor de Blasio’s OneNYC Career Pathways workforce development vision is the aforementioned CUNY ASAP, now available to 17,000 full-time students across 24 campuses. The CUNY program helps students earn associate degrees by providing supplemental financial and personal assistance with the goal of increasing credits earned and lowering cost per degree. The effort rose to national fame when President Obama mentioned ASAP by name in a 2015 address regarding a proposal to offer free tuition for more community college students. Creating an educated, debt-free workforce could have significant anti-poverty ramifications: a 2015 ASAP study claims that by 2020, an estimated 35% of job openings will require a bachelor’s degree, and 30% more will require a college or associate’s degree. The country’s student debt crisis is well documented. As of June, the program claims a 53% to 23% (control group) advantage in graduation rates. The current incarnation of CUNY ASAP, located at all six city community colleges, reported a Spring enrollment of over 8,000 students, and projects to double that total this Fall. CEO Deputy Executive Director Carson Hicks told Gotham Gazette that the program is on track to reach 25,000 students by the 2018-2019 academic year. Mayor de Blasio hopes the Career Pathways approach, made possible by strategic industry partnerships, will build on the CEO legacy of impactful training and education programs held accountable by stringent data collection and evaluation. Three new HRA programs include CareerAdvance, CareerCompass, and YouthPathways, which replaced programs like Temporary Assistance for Needy Families (TANF). A Center for an Urban Future analysis of Career Pathways, released last month, commends the change, observing that old TANF initiatives were both low-paying and unaligned with the career goals of clients. There was also a lack of individualized assessment, made evident by the fact that the programs did not take into account the age of their clients. De Blasio also cites Computer Science for All as an early success and part of long-term plans to create opportunity and reduce poverty. Launched in 2015, the program aims to deliver computer science education to public school students through elementary, middle, and high school. The administration says it will make the program available to all students by 2025 in order to accommodate a job market that increasingly rewards the technically proficient (CSFA references a 57% tech employment hike 2007-2014). Computer Science for All is funded by a public-private partnership with the New York City Foundation for Computer Science Education and the Robin Hood Foundation, and is part of the mayor’s Equity and Excellence agenda, which includes AP for All: a program designed to provide students at all 400 city high schools with access to five AP courses by 2021. Both programs intend to address the troubling disparity between education opportunities for many black and Hispanic youth and their more privileged counterparts. The administration has also overseen a new investment in bridge programs that provide remedial training for skill-deficient workers. The CEO was brought in to develop programs connecting participants with healthcare training opportunities, also collaborating with CUNY to launch the Building Bridges Professional Development course that gathered over 50 community-based organizations in summer of 2015. That same winter, The NYC Bridge Bank was established to provide program curricula, design manuals, and teacher guides for Career Pathways implementation. Across workforce development, the de Blasio administration is operating with increased capital: according to the same Center for an Urban Future report, the city has increased its annual spending budget for workforce services from $500 million in fiscal year 2014 to just over $600 million in fiscal year 2016. Mayor de Blasio has committed to increasing occupational and training programs to $100 million and bridge programs to $60 million annually by 2020. To coordinate these moving parts, the administration converted the once-perfunctory Office of Human Capital Development into the Office of Workforce Development to serve the essential role of guiding and coordinating with the three main agencies that together control almost all of the money that flows into workforce development: the Department of Youth and Community Development (DYCD), the Department of Small Business Services (SBS), and the Human Resources Administration (HRA), according to Christian Gonzalez-Rivera, a senior researcher at the Center for an Urban Future. Lazar Treschan, director of youth policy at Community Service Society, a nonprofit focused on poverty reduction, is supportive of the new Career Pathways direction. “The reforms have been terrific in terms of vision, planning, ideas,” Treschan told Gotham Gazette. “One thing that is missing is additional investment,” he added. “Ideas will only take you so far. At some point we do need the money.” Treschan noted that new money would come from the city, as current workforce money largely comes from the state and federal government. Despite the promising launch of initiatives like HireNYC, a targeted hiring program that connects job seekers to positions created by the city’s purchases and investments, there has not been enough permanent funding in the workforce system and investment in provider organizations to bring about the advanced system of referrals and partnerships that the nascent Career Pathways strategy requires, analysts say. "The new system really shows a lot of promise to consolidate programs that once existed in silence," Rivera said. Published in July, Rivera conducted a comprehensive evaluation of Career Pathways, informed by interviews with over 30 workforce development experts. "The city for the first time is actually investing in bridge programs…it's really on the ground level right now. So a lot of investment has been made already. A lot of shift in culture has happened," Rivera said. However, Rivera wonders about whether the de Blasio administration has overreached. "When you look at all levels, there is not enough money to serve all the people who need to be served with these higher touch expensive programs…the bridge programs are at least one-and-a-half or even two times more expensive as regular adult basic education programs. We're going to need more investment in order to make this happen." In his report, Rivera uncovered why there isn't enough money flowing into Career Pathways initiatives. "The programs tend to be funded at least in part through private philanthropic dollars and to operate on a limited scale. Public investment is hampered at the federal level by restrictions and rules imposed by funding sources, and at the local level by a limited understanding on part of city agencies of the needs of community-based organizations in the cost structures of the programs they run." Another key shortcoming of the Career Pathways rollout involves the coordinating office, which is, as of April, headed by Executive Director Barbara Chang. In its current incarnation, the Office of Workforce Development (WKDEV) has limited power and influence to make programming and funding decisions, according to Rivera. Unlike the CEO model where design, evaluation, and funding are all consolidated into one adaptable, independent body, WKDEV purely serves a guiding role. "CEO actually has money to pilot programs, the Office of Workforce Development just has enough to basically pay salaries," Rivera explained. "That's one of the problems: basically, it's a coordinating agency, it should be an agency that should have more control over program development, but it doesn't." Rivera’s critique, which relates to CEO, boils down to: "Work-dev [WKDEV] can advise, but in the end they are not accountable." One of the Office of Workforce Development's chief responsibilities is to create a set of common metrics to measure performance of Career Pathways programs. However, Rivera reports that WKDEV is only now sitting down with the different agencies (HRA, SBS, DYDC) to catalog outcome measures, compare definitions, and determine relevant measures for integration into each program. Rivera explained why this will be a difficult process. "Even a measure like number of people served can have a different definition from one agency to the next," he explained. "The other problem is that programs work with very different populations. You can’t expect an organization that serves community college students to have the same outcomes as one that serves high school dropouts who read at less than the sixth grade level." The avoidable disorder of data systems begs the obvious question: why weren't common metrics squared away earlier? "That was actually a question I asked the director of the Mayor's Office of Workforce Development,” Rivera said. “Why start with programs instead of the common metrics?" His answer? The decision had less to do with accountability and more with self-preservation. "These agencies depend on meeting certain outcomes to continue receiving money. So, HRA has to prove to the federal government that it did what the federal government wanted it to do in order to continue receiving money and not get penalties. And so any kind of outside evaluation that shows that maybe they are not doing their job as well as they said they are, or basically if you measure them with a different yardstick that says they're not doing as well, anything like that, can potentially be threatening. So it's very dicey. It's very political, for that reason." "In fact," Rivera added, "that's part of the inspiration that work-dev took in order to start measuring common metrics." Today, the Center for Economic Opportunity is less of an active player than it was under Bloomberg, assuming a supporting role in the current administration. The center still manages to conduct annual poverty measures and build on existing initiatives like the redesigned Young Adult Literacy Program, while spearheading others like an upcoming mental health service integration project made possible by a 2015 Social Impact Fund grant. Mayor de Blasio is eager to capitalize on the CEO's analytical capabilities: Executive Director Klein reported at the American Enterprise Institute panel that there are 39 CEO evaluations either launched, underway, or completed within the last two years. Klein also detailed CEO’s role in establishing common metrics among the dissimilar Career Pathways programs. When challenged on the rollout, Klein emphasized that the right plan was there from the beginning, even if execution faltered somewhat. “Common metrics was largely set in terms of the definitions of the metrics themselves by the time the (Career Pathways) report was issued," Klein said, before offering an addendum. "There may have been one or two areas that needed final refinement to align across agencies." By large, de Blasio's appreciation for the CEO approach is evident in the way he conducts his anti-poverty and workforce development reform. Even former Deputy Mayor Gibbs spoke with warmth when describing the current mayor's efforts.